0.50-carat diamond shown with Tapered Draco Engagement Ring. Interact with the engagement ring below. Designed by co-founder Bryan, the Tapered Draco Engagement Ring has become a symbol of the world’s love stories. 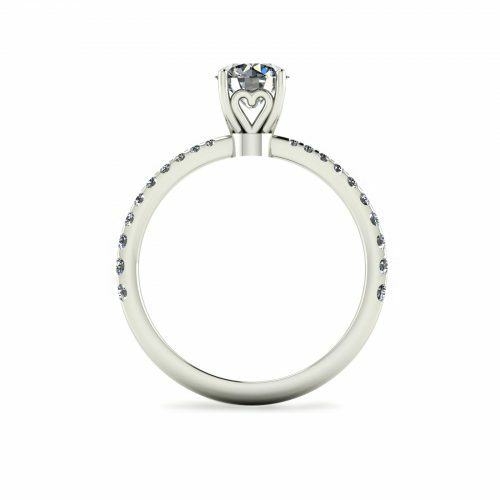 Connected through love on all sides, this four-prong setting sets the feature diamond on top of a pavé band. Flexibility is one of the key criteria for the creation of this base design. 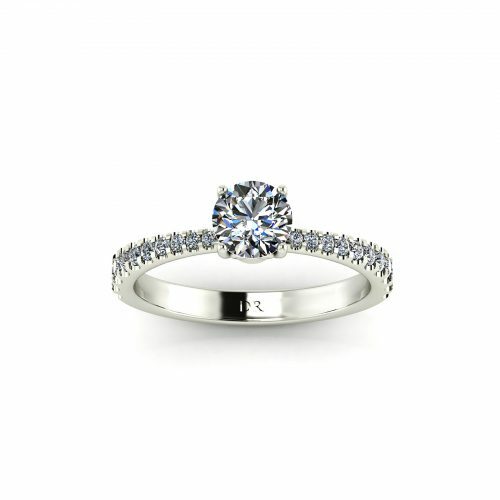 This allows us to customize and personalize this engagement ring to your love story. 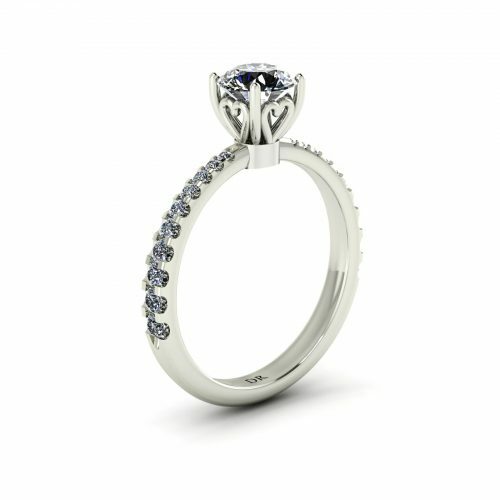 The Tapered Draco engagement ring is suitable for feature diamond of 0.50-carat and above. The ring is available in both 18K gold and platinum. * Price based on a 0.50-carat diamond with the following specifications Colour: F Clarity: VS1 Cut: Excellent Polish: Excellent Symmetry: Excellent As every diamond is unique, price varies with other gemological characteristics beyond the 4Cs. Only a fraction of diamonds ever meet Draco’ strict quality requirements. Get in touch with us for a broader selection of carat weights and customization. The design started with the concept, LOVE. What does it really mean, and how to represent it. The heart shape has always been the universal symbol of love, regardless of language, race, or religion. It is said to be the place where love resides, the origin. With this in mind, the heart shape becomes the basis for the Draco setting.